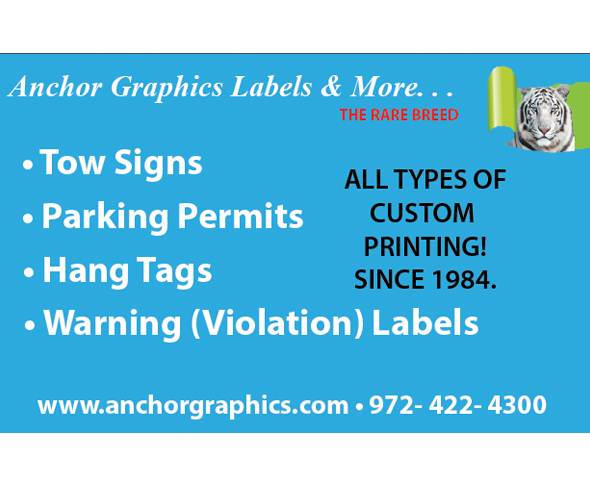 Anchor Graphics is the leading printing provider for the towing industry. We offer, but are not limited to: On-Demand Parking Permits, tow signs, warning labels, visitor passes and more. We carry all shapes and sizes as customization is our specialty. Call us at 972-422-4300, 800-875-7859 or visit us at anchorgraphics.com.